The scene off Herbert Road, in Small Heath, Birmingham, where a 16-year-old boy was stabbed to death Wednesday evening. The youth was discovered fatally wounded by a park in the Small Heath area of the city at about 8pm on Wednesday, West Midlands Police said. He is the second teenager to die in a knife attack in the city, and the third murder stabbing victim this month in the force area, after another man was killed in Coventry on February 10. In the latest attack, which happened just yards from a primary school, a mosque and an NHS community health centre, a 15-year-old boy was also assaulted, suffering minor injuries. A week ago, 16-year-old student Sidali Mohamed, who had fled war-torn Somalia with his family as a toddler, was stabbed outside Joseph Chamberlain College in Balsall Heath, a few minutes’ drive from the latest attack. His life support machine was turned off on Friday, with a 16-year-old boy arrested in connection with the death. At the scene on Thursday morning, police officers were guarding a large cordon around the park and two nearby houses were also taped off. Meanwhile, the boy’s death has left residents and politicians in shock, with calls for more police and re-investment in youth and other support services. The Labour MP for Birmingham Yardley, Jess Phllips, said she would be asking for an emergency meeting with the Home Secretary Sajid Javid, following the deaths. In a tweet, she said: “Waking up to news of another young man murdered on edge of my constituency. 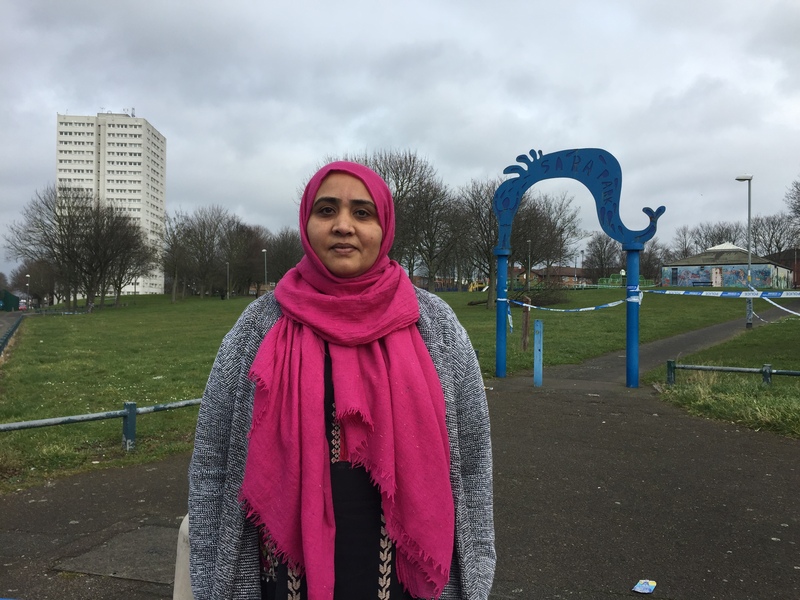 City councillor Zaheer Khan, whose Small Heath ward borders the scene, said the boy’s death represented “another victim of knife crime”, and was a “tragic loss”. “Last summer, we had a spate of stabbings and murders in Small Heath,” he said. “Personally, since those incidents, I have written to police several times about a lack of visible police presence. Yasmin Akhtar, a 44-year-old support worker who lives locally and has a 10-year-old son, said she feared for his safety. She said: “I have a son and I really fear what is going to happen to him. “Last week, we had that young lad who died at Joseph Chamberlain (College), and another stabbing up the road. It’s a joke. She added that parents and the communities had a role to play in tackling the issue of youths who were deciding to carry a blade. Shadow chancellor John McDonnell, speaking on Thursday during a visit to the West Midlands, said knife crime was a national issue. He called for police numbers and youth services to be boosted. Mr McDonnell said: “I’ve had a knife attack two weeks ago, and had someone die only a few months ago as well. It’s in all our areas. “We’ve got to have police out there because they’re not just on the beat, they’re in schools as well. “The other aspect to this is that we’ve lost our youth services. They’ve gone. “There’s no excuse for knife crime, but when you have youngsters out on the street rather than a youth venue or in activities that are constructive, there will be the opportunities then for these sorts of issues to arise. A senior officer said that the murders were “not connected”, but added “we’re clearly very concerned”. Deputy chief constable of West Midlands Police, Louisa Rolfe, said the force was “drawing in” extra resources including from “less serious investigations”, to track down those responsible. She added that “resources are stretched, so that’s not easy”. Ms Rolfe said: “This is an incredibly tragic and horrific incident for which we will leave no stone unturned to bring to justice those responsible. “The offences over the last week are not connected, but we’re clearly very concerned. Our communities are concerned. “You will see a very robust policing response. “Whilst working very hard to progress the investigation behind the scenes, you’ll also see a more visible police presence in the communities affected. “Now, our resources are stretched so that’s not easy. “We’ll be pulling resources away from things like training and less serious investigations to ensure that short-term, we do everything we can to reassure those communities.